Whether you’re designing a cover for a client or for your own self-published book, creating an awesome cover needn’t be a daunting task. With these top tips in mind, you’ll be well on your way to designing a book cover that won’t fail to catch a prospective reader’s eye. As well as advice on how to choose a style and draft a layout for your cover, you’ll also find professional tips on how to tackle the technical aspects of designing a cover, such as choosing suitable software and how to adjust the spine width of your design. Adobe InDesign is the current market leader in publishing software. You might have drafted your manuscript in Word, but it’s a completely different ball-game when it comes to putting your cover together. Professional designers turn to specialist publishing software to help them create cover layouts, as well as typeset the inside pages. If you want to create a quality cover, investing in a publishing design program is a wise idea. Cover designers’ top pick is normally Adobe InDesign, which offers unparalleled control over the sizing, layout, and typography on your cover. You can also easily bring over vector or raster graphics from InDesign’s sister programs, Illustrator and Photoshop. If a costly subscription to InDesign is not an option, there are some good cheaper and free alternatives. QuarkXPress has a very similar interface to InDesign and is sometimes the preferred program of some seasoned book designers. Scribus is a great open source free alternative. 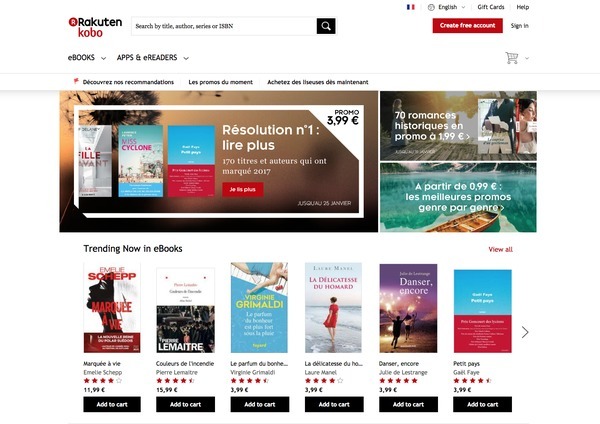 Many self-published authors and publishing houses are opting to sell their books as EPUBs, instead of or as well as in print format. These days almost all books are released in EPUB (‘electronic publication’, or better known as eBook) format. Publishing houses will also order runs of books in print formats—as paperbacks or hardbacks, or both. Books that are sold internationally will also have their print copies adjusted to fit the standard sizes recommended in different countries. If you’re creating a cover for a self-published book, it’s likely you will be creating the book as an EPUB, ready for selling online in an eBook store, such as Amazon’s Kindle Store or Kobo. 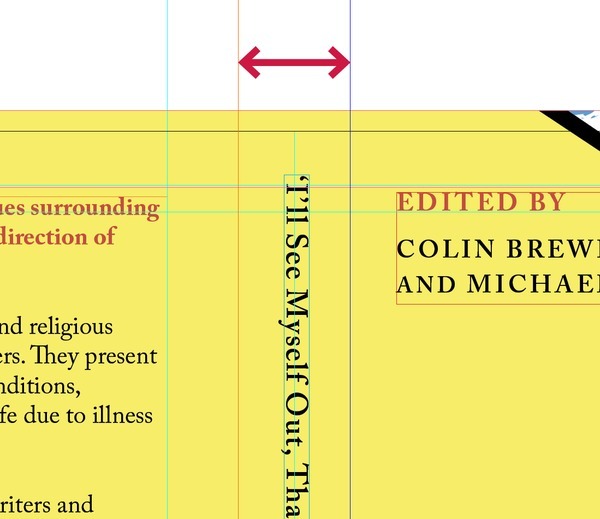 To avoid problems further down the line, you should set up your cover layout to the correct EPUB size from the outset. 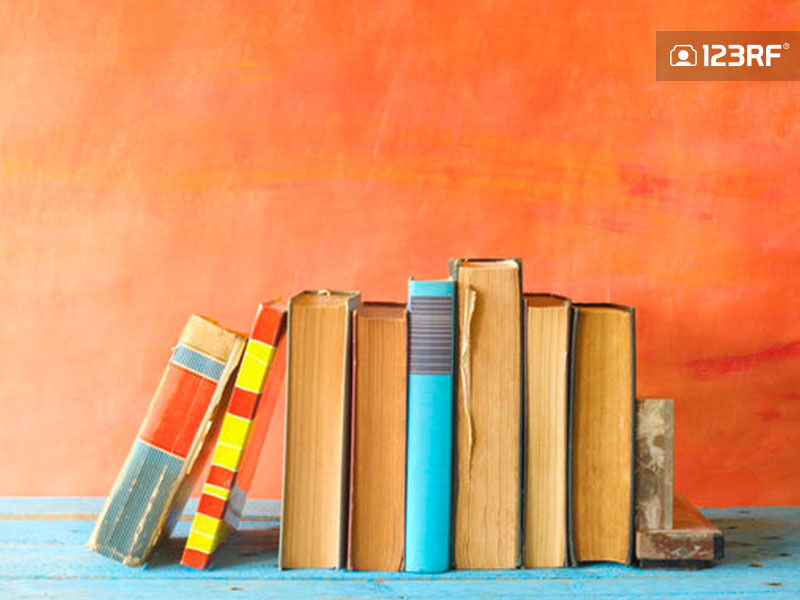 Different eBook stores require different cover dimensions (measured in pixels, px) and resolutions (measured in DPI, or dots per inch), so make sure to look up their requirements before you start designing. 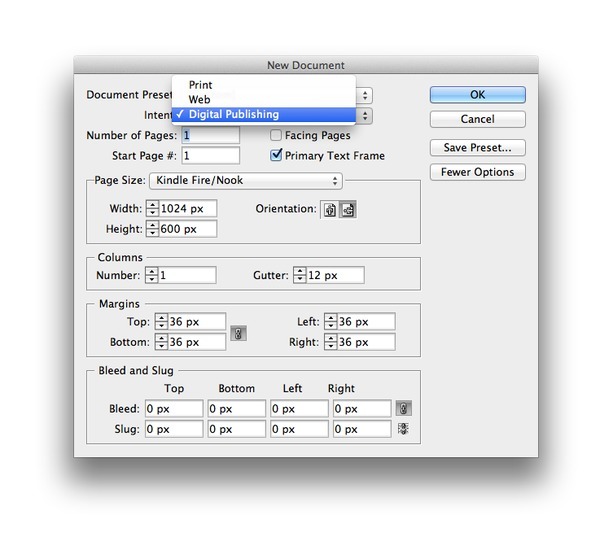 In InDesign and other publishing software, you can set the Intent of your new document to Digital Publishing. If this option isn’t available in your program, choose Web or Online, or manually set the dimensions to pixels, rather than print-friendly millimeters or inches. If you’re designing a print cover you’ll have to consider first whether you’re creating a cover for a hardback or paperback. Paperbacks are more common and cheaper to print, as well as being simpler to create, with just a front cover, back cover, and spine. Hardbacks take a little more consideration. These can be designed without a dust jacket (for example, as with clothbound books), in which the design is printed onto fabric or paper stock, before being glued onto a board skeleton. An alternative method is to create a separate dust jacket for the book, which is wrapped around a board-bound book without gluing. To create a dust jacket, you will have to include a front and back cover, spine and two flaps at either end, as well as allowing a few extra millimeters across the joins to allow for folding. Now that print-on-demand (POD) is becoming the norm across the publishing industry, it’s become easier (and more tempting) to print books in a wide variety of sizes. Please do your best to resist the temptation! 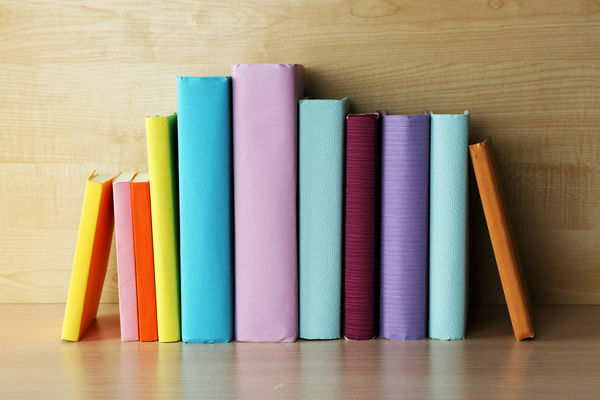 Standard book sizes, such as folio, quarto, and octavo, are still used by publishing houses for a good reason. 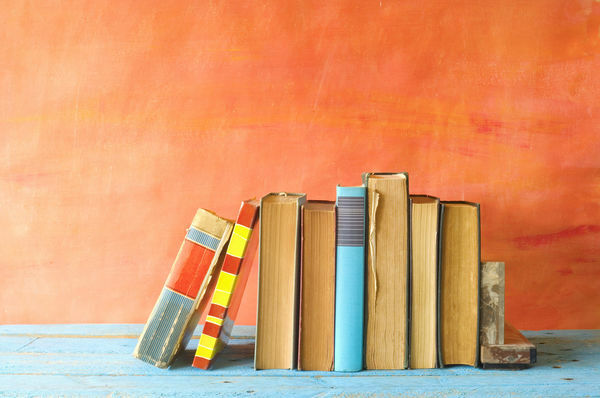 Standard-sized books stack well on shelves in bookstores and libraries and look neater when stacked alongside other books or arranged in piles on display tables. If your book is awkwardly sized it may not be displayed by the store’s staff, or worse, not fit on the shelves they have available. Different genres of a book also have their own corresponding sizes. If you’re designing a self-help book you may need to choose a smaller size to make it more appealing to airport stockists. 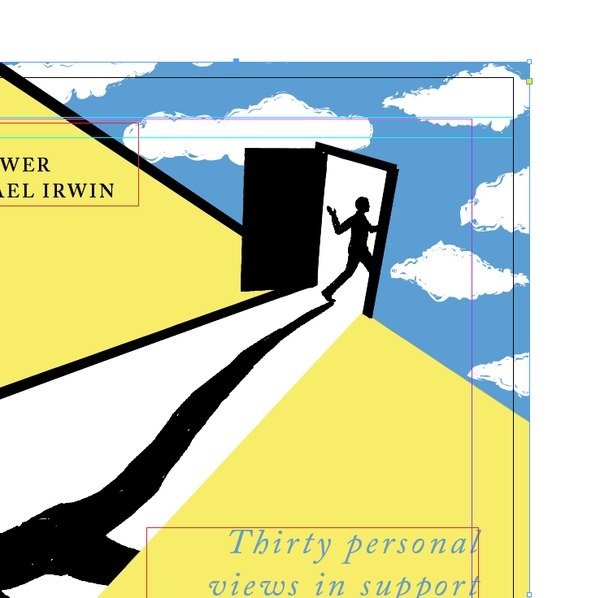 Designing a hardback cover for a non-fiction book? Aim for a bigger standard size to make the tome feel weighty and authoritative. In short, if you want to sell print copies of your book, stick to a standard size which is recognized in the country of distribution. A bleed is an extra area that extends past the edge of your cover (known as the ‘trim’ edge). It’s only necessary for print covers, and its purpose is to conceal any minor errors when the cover is cut (trimmed) after printing. Elements like background color or graphics on your cover should be extended onto the bleed. It’s simple to add a bleed to your cover—you can set the width of the bleed (usually between 0.125 and 0.25 inches) from the New Document panel in your design software of choice. What is the purpose of a book cover? Even though you may have stylistic or thematic ideas for your design, you should be mindful that a cover functions primarily as an advertisement for your book. Its main purpose is to attract attention from potential readers. The best way of maximizing your cover’s advertising potential is to keep these three ‘E’s’ in mind while you design—creating a cover that is eye-catching, engaging and easy to read. Take a leaf out of the ad designer’s rulebook—they never crowd a layout. The simplest advertising designs are almost always the ones which attract the most attention and remain memorable. Do the same for your cover by limiting your color palette, using one strong image and making the title clear and legible. Of course, simple doesn’t translate to boring. Read on to pick up more tips on how to really make your cover stand out from the crowd. The utterly addictive Book Cover Archive is a great place to source inspiration from the best the world of cover design has to offer. Everyone’s heard the expression ‘Don’t judge a book by its cover’, but this also happens to highlight a key lesson for all budding book designers. 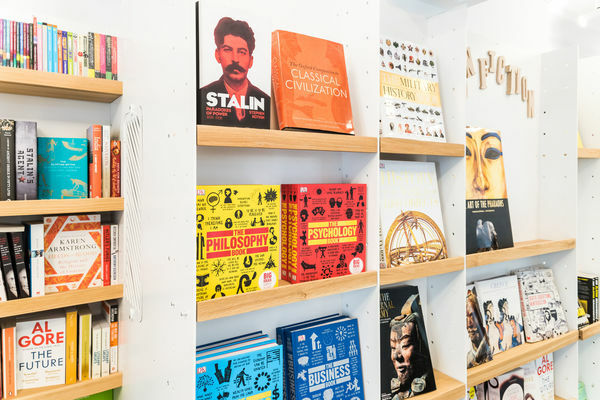 Because the cover is the superficial element of your book—the visual part which a prospective reader looks at before committing to buy—its design is critical to giving the reader an impression of the book inside. Of course, a beautifully written book can have a terrible cover design, and indeed vice versa can be true as well. The point is that the quality of the written book is irrelevant when it comes to creating a cover. All cover designers should try to show the book in its best possible light. While it is essential that the cover design reflects the mood, genre, and subject of the story inside, your priority should be creating a cover that sells. Make sure to do a little research into the target market for your book, and note the styles, colors, and fonts used across other books aimed at this audience. For example, you might notice that elaborate, ‘Old Style’, serif fonts are always used in best-selling historical romance books. 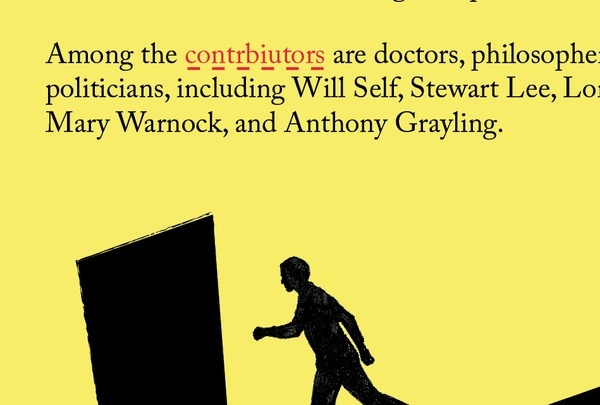 By contrast, the majority of political non-fiction books might opt for chunky sans serifs set in strong reds or blues. By noting these common elements, you’ll have much clearer guidance for creating a cover that’s going to appeal directly to your target readership. 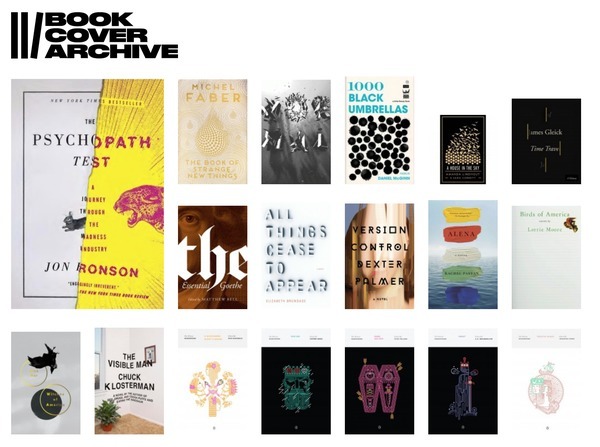 You can spot cross-genre design traits and source brilliant inspiration from the addictive Book Cover Archive. All layouts, whether for websites, business cards or book covers, need a sense of hierarchy. This guides the viewer, allowing them to digest one piece of information first, before moving to secondary elements. The positioning of these three pieces of text matters much less than the sizing and prominence (which can be adjusted by formatting the weight [e.g. Bold] or color). So as long as they follow a clear order of size, you can be experimental in how the text is positioned. While it’s true that designers will spend most of their time perfecting the front of a cover (or in the case of EPUBs, this is the only part of the cover that needs to be designed), they will also devote many hours to put together complementary layouts for the back cover and spine. The back cover is important to consider because it is the part of the cover which features the blurb—the written summary that a browser will read once they’ve picked up the book (on the basis of the front cover design). It’s important that the blurb is typeset clearly and beautifully, and framed by design elements, such as color, texture and/or illustrations, which match the mood of the front. 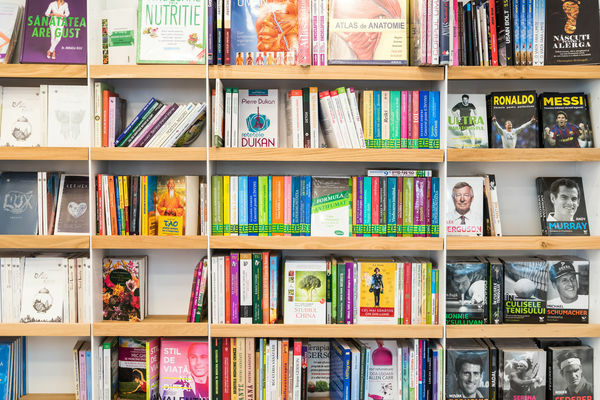 For books which are shelved in a bookstore, the spine actually becomes the main design feature of the cover. Many designers opt for attention-grabbing color, pattern and typography to make a statement on this otherwise narrow and unassuming part of a book’s anatomy. If you’re creating your cover design in publishing software, you will need to expand the page size to accommodate for a spine and back cover. In InDesign, you can do this by activating the Page Tool (Shift+P) and clicking on the page to be able to drag the left side outwards to expand the width. Read the next tip below for how to determine the width of your spine. 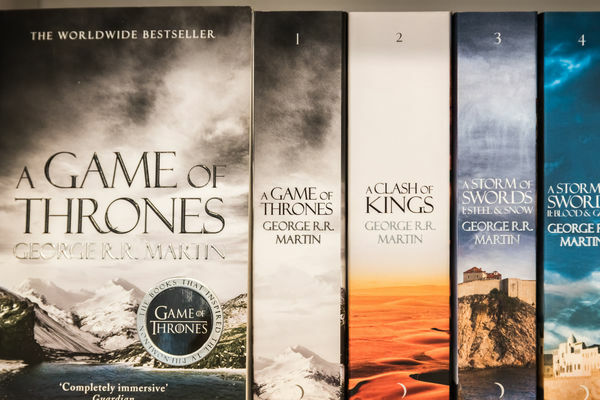 While your front cover and back cover will always conform to your chosen standard size, a book’s spine width can vary widely. This is dependent on the number of pages in your book, and the weight (or thickness, measured in GSM, or grams per square meter) of the paper stock the pages are printed onto. With this in mind, you should only finalize the width of the spine on your cover design once the printer who is processing the inside pages has told you what this will be. Many cover designers will wait to get the go-ahead from the printer before they create a final design for the spine. If you have a rough idea of the page count for your book, you can use an online spine width calculator to work out an approximate width. This will give you a good idea of how much space you’ll have available to work with before you get the final width measurement. …and The Golden Rule: Always Check for Typos! Avoid any disappointment when your book-filled boxes arrive from the printers by always, always, and I repeat, always performing a few spellchecks before you send your cover artwork to be printed. You can use the spellcheck function in your software (in InDesign, go to Edit > Spelling > Check Spelling) to do an on-screen check. But it’s also a wise idea to print off a draft copy of your cover at home and ask a couple of trusted friends to cast their eye over the text and spot any stray spelling errors or typos. Don’t be that person who spells ‘AND’ as ‘ADN’ on the front cover. It’s just too sad. Dive In and Design an Amazing Cover! Make sure that your readers judge your book by its cover…in a positive sense! With the right software at your disposal and these handy design tips in mind, you’ll be well on your way to creating an awesome cover that is sure to win over potential buyers.